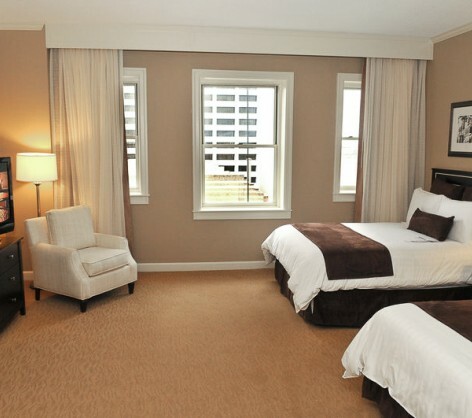 Capturing the essence of modern Southern style, our light-filled Luxury Rooms span 525 to 650 square feet and feature large windows, luxurious bedding, and your choice of one king bed or two double beds. Our spacious Luxury King Room is a contemporary oasis with one king pillow-top bed, a generous work desk, sitting area with floor lamp, large windows, and a modern bathroom with glass shower. 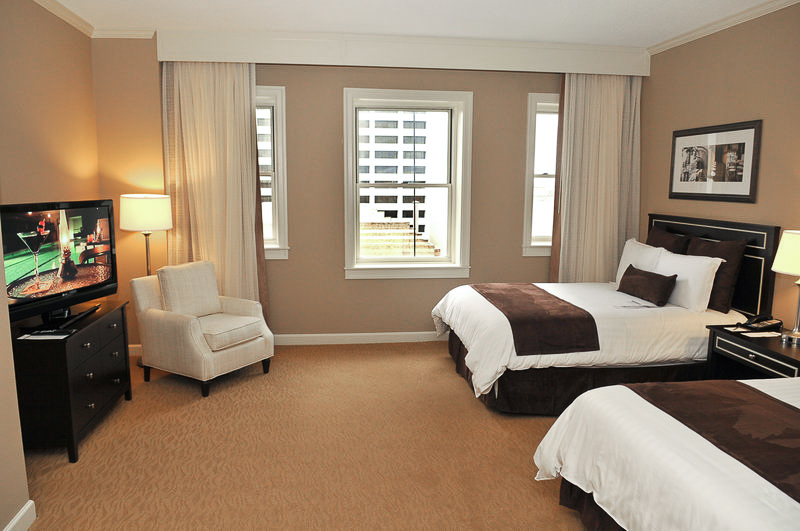 Highlights of our stylish Luxury Double Room include two double beds with pillow-top mattresses, a spacious work desk, large windows overlooking downtown Atlanta, and a modern bathroom with glass shower.